The plan is to shift the AU Commission’s Humanitarian Affairs, Refugees and Displaced Persons division from Political Affairs to a new department for health, humanitarian affairs and social development. The new department will replace the current Department of Social Affairs and is one of the six departments suggested by the reform team at the November 2018 AU summit. Africa hosts over one third of the world’s forcibly displaced people, including 6.3 million refugees and 14.5 million internally displaced people. The decision to dedicate a department to humanitarian affairs shows that the AU is seriously concerned about the situation and is, more than ever, willing to address its root causes. African leaders have grappled with forced displacement for decades. The main aim of the Organisation of African Unity (the AU’s predecessor) was the liberation of African states from colonial powers, which resulted in mass displacement. The recognition of this challenge led to the adoption of the 1969 OAU Convention Governing the Specific Aspects of Refugee Problems in Africa. The AU’s theme this year is partly to commemorate the 50th anniversary of this convention. 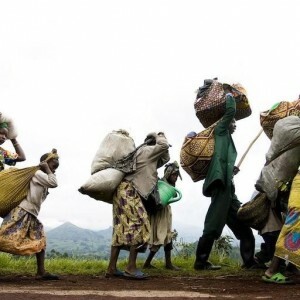 It also marks the 10th anniversary of the 2009 AU Convention for the Protection and Assistance of Internally Displaced Persons in Africa (the Kampala Convention). The AU has developed a roadmap outlining various activities related to the theme of the year, which is expected to be adopted at this week’s summit. A secretariat has been established by the AU in collaboration with the UN Refugee Agency (UNHCR), to lead and coordinate action. These developments are encouraging, but the AU’s theme must result in action beyond 2019. As AU reform moves toward implementation, the best possible structure for addressing the issues of refugees, IDPs and migrants equally is needed. Establishing three divisions, one for each of these matters, would be ideal. The AU should also consider including the issues of ‘refugees, returnees and IDPs’ in the implementation plan of Agenda 2063 so that they can be part of the AU’s long-term plans.